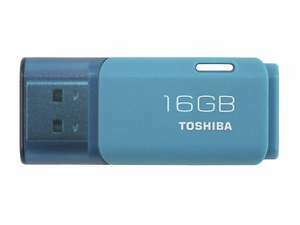 16GB Flash drive for £3.47 - If you just need a drive for a bootable recovery image or similar, might be useful. My order arrived today. Bought as a replacement for my old Sony Bravia in my bedroom. I'm actually surprised by how good it is. Default picture setting are pretty crap, but it looks much better than I had expected after tinkering with the settings. The sound isn't wonderful, as on almost all TV's, but it's got Audio output options sorted. It can connect over Bluetooth too, but audio is out of sync when using Internet streaming services. The smart OS is pretty simple, but it covers a lot of services (Amazon Prime, Netflix, All UK catch-up services, YouTube...etc). 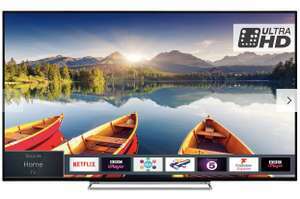 4K HDR picture looks best on either Game or Sports modes. The rest of the modes blow out the highlights and crush the blacks. The screen uniformity is good too, the dirty screen effect is less pronounced than it is on my Samsung 50MU6120. The panel is IPS so black levels aren't great, but viewing angles are ok, I assume the panels are from LG. I'd be happy with it at £280, so more than happy for this price. To second what akramfaisal said, I would also recommend this TV, I use it for gaming on an xbox one s and the 4k upscaling looks great. HDR isn't as good as other higher end TVs but for the price you can't complain. No other model at this price comes close in terms of quality. Like looking at a TV set from the 1960's, 9" screen in a box the size of a Ford Fiesta. It works fine. Just tried adding one of the 10 sets left (which I've not pulled the trigger on, was only to try the discount) Subtotal (1 item) £249.00 Postage Free Voucher codes -£24.90 Order total £224.10 It might only work if you're signed in. Try it again. Thanks for the post. Just tried the code, and had this: 'This code can't be applied to your order.'. Anyone else having this problem? Have to agree, quite disappointing the way Toshiba has gone downhill, however l can't comment about JVC as l haven't got any of their products. I personally would get a Samsung followed by an LG (have both) even though l still use a 12 year old Sharp FHD in my main lounge (non smart) and never had an probs with it. i had a sony tv which went kaput just after the 5 years that it was guaranteed for! i have a samsung tv that is 9 years old and doesn't look like it is going anywhere, the bloody thing won't break and i am so tight, i won't buy a new one until it does. i have an LG tv that is nearly 8 years old and again that is still going strong, but i am not too fussed about getting rid of that one as i have given it to my brother. as far as i am aware, toshiba and JVC are not very reliable tv brands. sony is not that great either, but better than these two. for tv, the most two reliable brands in my opinion is Samsung and LG. I've picked up the JVC too as it had all the features I wanted. Sadly, it was too bad. After so many faults, the worse one being switching on at 2 am on its own, I've sent it back. Sadly, can't find anything with all the features I like and for the one I've got I need to buy a separate stand, cable conversion boxes, etc. My previous Vestel was Accoustic Solutions (for the spare bedroom), was 2 years old when I got it and lasted another 7. Sadly, the JVC and the Toshiba I've got were nowhere the same quality. Both £9, and £12 are obvious expensive irrespective of how you look at it, I'd have thought?. Kingston, SanDisk, and suchlike 32GB micro sd memory card's, at class 10, and u1 classification, etc, etc, generally seen to go for £5, £4, and/or £3 a piece, or whatever? (online). So clearly £9, and £12 a piece in the Shop's is kinda pointless, no?. From portable hard drive's, to memory card's, to flash drive's, to power bank's, tablet's, android boxes, phone's, and ... have predominantly been bought alllllll online - for obvious reason's, as per my above already explained?. (And that's generally been my pattern for more Year's now, than I honestly care to remember). I've only ever bought such thing's (physically) in Shop's, when they've actually proved cheaper bought in person, than that of when it was rather bought online, etc? (but to be honest, with the likes of eBay, Amazon, CPW, PCW, BangGood, GearBest, LightInTheBox, eGlobal, and the like, it's a rare moment I bother myself with in person purchase's too tough - seriously, why would I bother myself?). £1.80 would have obviously been an excellent price to negate the power of the online route, lol. But £9, and/or £12+?. No thanks ... lol. Both are a waste of money really?. As (put simply), it's wayyyyyy cheaper when buying these online ... So why bother with either of them, basically?, lol. Brilliant price, good find OP! Form factor - 3.5-inch.Interface - SATA 6.0 Gbit/s.Capacity - 4 TB - 8 TB.Rotational speed - 7200 rpm.Buffer size - 128 MB.Weight - 770 g max. Will this work for Nintendo switch? Hi and excuse my ignorance ! Just purchased a Lenovo tab 4 8 plus. Would this card be suitable for expanding the storage on this device ? Aww, did you resort to pictures when words were difficult at school too? Here's a screenshot from the article you just posted: Which is exactly what it is in the case of this Toshiba, a budget 4K TV. Nice try, champ but like I said, lost cause. (lol) do you even have a clue what you're saying? If you just admitted Game Mode disables picture enhancement, then why would you be able to edit things like contract and brightness in it? Why wouldn't you change the mode to adjust those things if it's an issue? As I said, you can edit those things fine in any other mode, whilst in game. I think the need to ever correct people of your stature is a lost cause. Send me a video of you adjusting the brightness and contrast while the TV is in Game mode and I’ll buy another one. You do realise you don’t actually have a clue what you’re talking about, Game Mode disables all picture enhancement settings to reduce input lag. I suppose Toshiba don’t understand how there TV’s are configured either, seeing as they’re the ones who confirmed it wasn’t possible to adjust the picture settings while Game Mode is enabled, but I guess you’ll attempt to correct them too. That's funny, I've been able to change all of those things just fine whilst in game. You do understand 'Game Mode' is just their presets? You can edit any one of the other modes to do the same thing. Bit of a pointless return if it was just for that. Bought this 49" version when previously on offer @John Lewis. 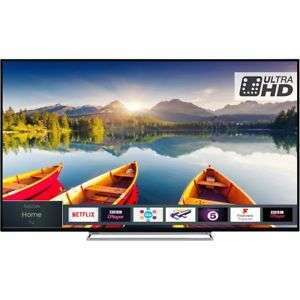 https://www.hotukdeals.com/deals/toshiba-55u6863db-led-hdr-4k-ultra-hd-smart-tv-55-with-freeview-hd-freeview-play-black-john-lewis-partners-just-399-3190791 I am reasonably happy with the telly as a cheaper option. I don't feel the TV is as good as my previous Sony LCD TVs. The picture whilst better being in 4K, it seems a little washed out in general use and more so when viewed from anything other than straight on. The sound is not as good as my previous Sony TVs either but in all fairness this could have a lot to do with the TV being much slimmer. I would buy again as a budget or my second TV, but I would probably save up for a better brand for my main TV. Good deal, voted hot! Isnt this same one at costco for £329? Comes up as £379 for me? Good price, but not voting. 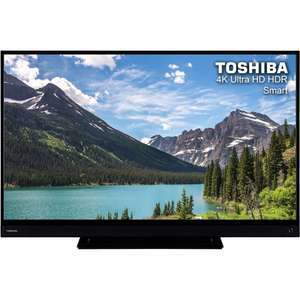 Sent 2 Toshiba's back (smaller versions) in the past 3 weeks and also considering how flimsy they are, I will stay away from it, particularly if you want it as your main TV. Not an issue that is made by Vestel, but over the past 3 months I had a JVC and 2 Toshibas, all made by Vestel, basically the same TV, with lots of issues and flimsy. I am waiting for my money back to get a proper TV. With regards to the central mount, this was one of the reasons I've decided to go with the JVC and Toshiba. The JVC seemed strong on its mount, but the Toshiba was a disaster, even secured with screws on the TV table and was still way too wobbly. Also, you may not need this, but if you want to use it with a DVD player, you will have to get a SCART to HDMI adaptor, as there is no SCART on this. Not anymore they're not. :-( Unless of course you have a direct link for it? (as your link isn't it anymore ... ) thanx. And now back at base for £5.99 but sure it said £9.99 a moment ago, which I guess is why this was expired. Got a 64GB one for near this price recently. would be fine, class 10 are the high speed type card and will write smoothly to the card with video footage making it clear and precise, depending on if your cam is 720 or 1080p/i will depending on the size of the card required for the amount of footage per journey etc. Definitely not. You need a high endurance card. Speed is not an issue for dash cams. Any good for dash cams? The beauty of HUKD. Once a deal gets hot, people vote hot without even reading the deal. This is an ok deal, but similar items, cheaper, were voted cold before just because they were not full hd.